Mr Keating (Robin Williams) is the new teacher at an exclusive private school in Vermont in 1959, shaping the minds of future doctors and lawyers and businessmen. But he believes in living life to the full: Carpe Diem. This is appealing to some of his students, but many parents and staff and less than impressed, especially when tragedy ensues. I think I saw this film six times in the cinema when it was released. I loved the hope and the rebellion, and (let’s face it) I loved the handsome young men trying to find their paths. I was pleased to discover that it very much held up for me. Perhaps part of that is the memories it brings back, but I do think it is a very good film. Funny (and I will certainly say that some of the classroom scenes are bit over-the-top in the Robin Williams humour) and sad. There are certainly some elements in the film that feel a bit clichéd and twee, but I don’t care. When Josh Charles’ character strokes the girl’s hair, when Robert Sean Leonard’s character flings a desk set from the roof, when Ethan Hawke’s character yawps; these things all give me joy. 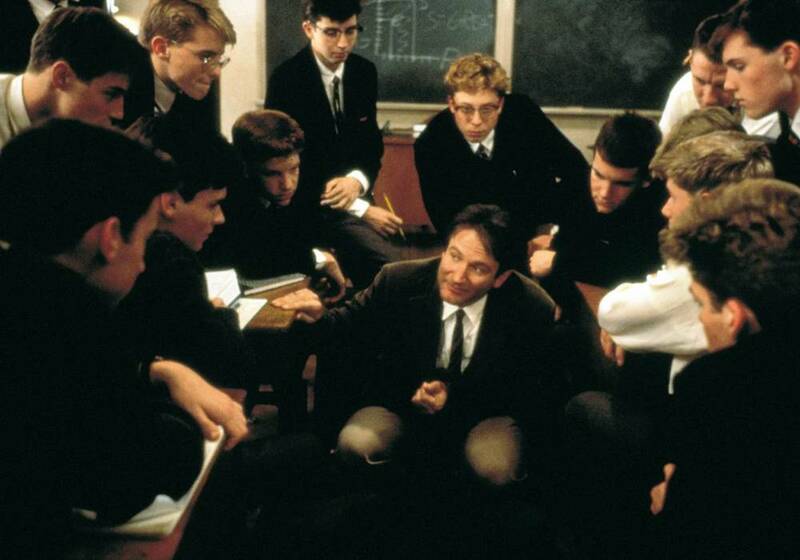 Dead Poets Society won an Oscar for Best Writing, Screenplay Written Directly for the Screen (Tom Schulman) and was nominated for Best Picture, Best Actor in a Leading Role (Robin Williams) and Best Director.